One of my favorite dressings to use on salads is a Poppy Seed Dressing. Just like Brianna's Home Style Poppyseed dressing. But...to save some $$ and make sure I know everything going in to it I prefer homemade dressings. I have one I use specifically for a spinach salad at holidays and special occasions, but...it has a lot of sugar in it. And I could eat it everyday... Check out this healthier option! And yes, this uses maple syrup instead of sugar!!! Whisk all ingredients very well. 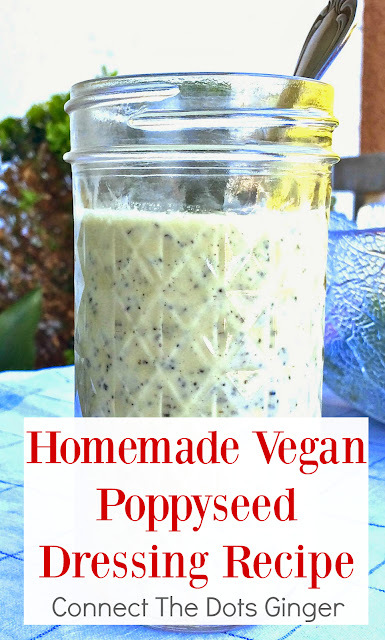 I usually blend my dressings to get a creamier texture, but for this, add the poppy seeds after you blend so they don't get broken down.